Supposedly the world's biggest coral island, Niue is a charming retreat from the busy traveler. Its rustic coastline, clear waters and coral reef offer great fishing, diving, snorkeling and whale spotting. A wide array of exotic birds frequents this island country like; Parakeets, terns, weka and other migratory birds. Multi-colored butterflies are a regular sight fluttering around the flowers and rare orchids that grow on this small island in the Pacific Ocean. Notwithstanding the island's remote location and dense population, it is seldom short of tourists and the influx of foreigners wanting to discover the entire island contributed much to the revenue of this little island that has free Wi-Fi connection all over the country. Because of its many secluded parts, there is a big possibility to have the romantic island all to yourself making it a perfect honeymoon getaway. 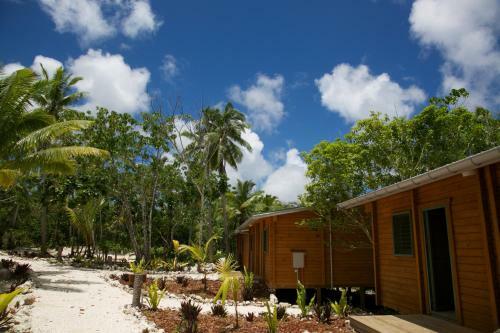 Here are the top ten not to be missed places in the island of Niue. The Limu Pools is one of the few sights of Niue with little infrastructure but has clear water and snorkeling adventures. The pools are located in small quiet coves. It looks awesome as it complements the brightly colored water in the bays between pink cliffs and green vegetation. There are a picnic tables with benches and above even a shower facility (otherwise rarely on Niue). Access to each pool is very easy and some coves even installed ladders to make every guests have a chance to see its features. There are great snorkeling sites that provide the opportunity to see the beauty of the underwater world. Tropical fishes in hundreds along with marine life are visible even without a snorkeling mask or goggles. Scuba diving expeditions are offered by certified divers along the coastal side where you can rent gears and necessary equipments to explore the marine life on this side of Niue. The surreal diving experience gives the impression of going deep inside a fish aquarium where the water is impeccably clean. The atmosphere is very laid back, you can jump off from the rock, plus the fresh seafood banquet offered here is to die for. Make this diving site tops on your itinerary and you will not regret it. Niue has so many corners and the Talava Arches is one good example. Yes, it is one of those free-standing arches, which protrudes into the water and connects into a cavern with clear waters that changes colors depending on what angle the sun shine on this rocky point. It's all rather brown in gray-green then turquoise to pink at how it knows otherwise. The short hike through the caves is just as spectacular as the other caves. Watch out for children, the trail is quite physically challenging as there are a few climbs to overcome before getting to the actual site. Wear a good pair of rugged trekking shoes and your unlimited yearning for adventure and fun. The trail is well marked and all the tracks lead to the easiest and nearest way to view this attraction and the wide ocean. It is advisable to bring along your own gears if you intend to go diving or snorkeling because from around here, no one has set up any facilities yet about underwater explorations because of the remote location. You certainly won’t get lost here because all the signs indicate where the exit and entry points are as well as the distance or how far your location is from the two arches. The trail begins by making a long walk into the inner jungle of a tropical forest in Niue. The Togo Chasm is worth a visit because you will have the opportunity to walk along volcanic rocks that directly leads to a concrete and well paved walking path. You need to endure the climbing on rocks to reach the trails that are discreetly situated between the large boulders of rock and coral formations. A ladder is provided to make the challenging trail easy to accomplish and traverse. Go down the 32 steps and you will be in for the most pleasant surprise after a grueling trek into the narrow boulders, the stunning view of the ocean, the line of tall coconut palms that provide shade, and the soft sand beach that has clear waters that looks so inviting to swim. There are fewer crowds around here on weekdays, making the site a real piece of heaven on earth. There are no facilities or annoying hawkers that bother anyone here. Bring tents, spend a night, and relish on the experience of what having a private island feels. Do some rock climbing but be careful as the rocks have sharp and pointed edges. Seeing the huge wave’s crash into the rocks is an awesome thrill and a good escape to pass the time away and leave any worries back home. Anyone can enjoy a pensive or quiet time on this remote and uninhabited area in the island of Niue. If you have more than a week to stay in Niue, better include this beauty in your itinerary. The Avaiki Caves is certainly worth a visit. It is a favorite photo shoot location of avid photographers. Its glasslike and crystal clear waters are its greatest come-on. Although most of the cave areas on this island are all spectacular, this cave is the largest and most suitable for swimming because it has a nearby facilities to make the visit a convenient one (bathrooms, dining place, picnic grounds, etc.). However, this cave has not much stalactites and stalagmites and therefore seemed rather plain; nevertheless, it is still one of the most idyllic caves you can explore when in Niue. It is best to come early in the morning to fully enjoy the place. The rock pools rare also loaded with a wide selection of corals that can be seen clearly even if you stand from the rocks above the waters. Do not wait for the tides to get high (before 6 pm) or the path to get back to the parking area will be covered in knee high waters making the trail quite difficult to see and walk on as the rocks get too slippery at the same time. You need to rent a car to reach this informative attraction as it is not directly located in the capital city but on the outskirts’ of the city limits which is about 10 kilometers away down south. Being that far from the city requires the traveler to be far from the touristy spots, hotels, bars, restaurants, and shopping areas. The road has a lot of potholes, but the surrounding views compensate for this imperfection. Once you arrive at the resort place, you will be entitled to a warm welcome from their very friendly and attentive owns and their employees. The equipment is top notch and up to date. The boats also make a very good impression, and at a maximum occupancy of 6 persons there is always enough space. They are also very concerned about safety as the tour proceeds to the whale sighting area. When the weather is too bad, tours get cancelled. Otherwise, they retreat the boat back to the resort and tell a lot about their previous whale sighting experiences and ask to re-schedule your booking when the weather is no longer overcast. On a good day, 2-3 types of whales can be seen roaming around its waters. If one is always in the center of Alofi and has just a few minutes to spend, a visit to the Tomb Point is well worth the short walk. This old harbor area and lookout point is the favorite hangout place of the locals and also a good opportunity to mingle, interact and know their culture. During the whale watching season, this site also serves as a good observation point. It is so named because of a huge number of tombs buried on this site. There are more locals here especially every end of the month as they anticipate the arrival of a huge cargo ship that bring food, basic supplies, and complete provisions from its host country New Zealand. There are picnic grounds complete with shaded tables and benches, toilets, clean drinking water, wash room areas, and BBQ grill areas. The best part of being in this site aside from observing the movements of the ships and yachts on this sprawling marina is to wait until afternoon and watch its beautiful sun set. There is a shopping mall to past away the time while in the capital or drop by the nearby Ekalesia Church that is also an important structure in Alofi. You can feel the history here as this was the place Captain Cook initially arrived on the island of Niue. It is likewise the major launching point for the hardworking fishermen in their traditional canoes. Pick a pleasant sunny day or go at nighttime to watch the dusk and watch them return from the sea with their catch that they get to sell for the curious tourists who wants to have a taste of fresh seafood. The Opaahi Landing is an extraordinary small snorkeling spot with a tremendous assortment of fish species. This site is suggested for avid snorkelers. Be extra cautious when the swell races up the little channel making it very difficult for non - swimmers. Aside from its historical importance to Niue, at day’s end, you can marvel at the colorful canoes that their owners leave over the rocks. The locals drape these canoes with palm fronds. It looks picturesque and unique. 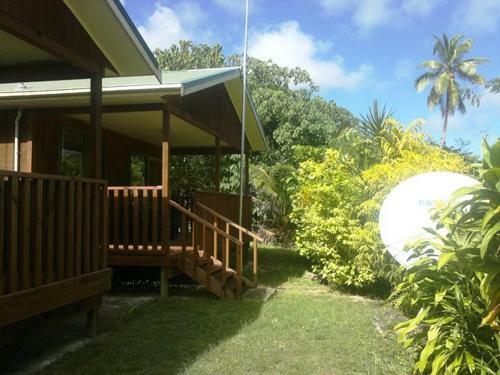 It is easily accessible and just 5 minutes away from the main highway of Alofi. The Hikulagi Sculpture National Park is a fun idea to add to the things to encounter in Niue. There is an open building with craftsmanship and art designed for kids done in memory of the parks previous instructor and some outdoor statues. Metal scraps and other forms of recyclable material which are being considered as junk by many are brought here and given a new meaning and purpose after being restored at the workshop that is adjacent to the display area of the park. Some are still a work in progress but is already proudly displayed as every new artist contributes something to make the art pieces truly creative. Recycling old things (broken appliances, kitchen wares, computer parts, etc.) is also another good way to eliminate the accumulation of so much trash and a way to help the environment. It is worth a look in the event that you are driving up the east shore of the island. It is best to swim on this narrow beach during low tide. The Utuko Beach is a beautiful little beach that is very close to Alofi. It is located in a bay with two small beaches (at low tide). Its reef is relatively far offshore, but most divers gather here for the huge collection of marine life they can see underwater. The turquoise and mostly light blue and clear water is what makes tourists frequent this site. Snorkeling is ok with clear visibility up to the bottom. Come here early to avoid the huge crowd that usually gathers on its long steep stairs who all want to swim on its crystal clear waters and discover this part of the country. A visit is allowed during Sundays after the holy mass has been celebrated. From inside, there is a small office that handles all queries about the scheduled masses and confirmations. The 30 minute service usually starts at 10 in the morning. And it is also during such days when you see almost majority of its populace attend and dress their Sunday best from head to foot. Most women even come in fancy and elegant looking hats to match their outfits. The men also make their best effort to look good and listen attentively to the mass. After the service, the priest and other members of the clergy can even accompany you to the interesting part of the only established church in Niue. The Ekalesia Church has a small graveyard just across its front yard near the parking area.